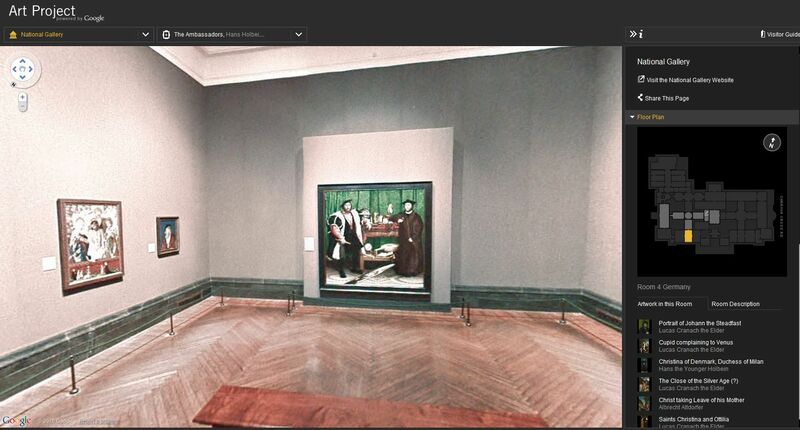 Google's Art Project lets you walk through the National Gallery in London or MoMA as if you were clicking through a videogame like Myst. In case you haven't noticed, Google has been quietly cataloging our world by taking billions of digital pictures. It began in 2007 with the Street View program in which a truck drove around the roadways of major cities and took pictures along the way. All of that data was compiled so that it was viewable alongside the Google Maps web interface and it allowed you to get a sense of what your destination might look like, or creep out the world with a supposed dead body. Street View now encompasses cities in many countries throughout the world but it now also includes some very fancy interiors. Yesterday Google launched the Art Project, a virtual tour of 17 of the world's most prestigious art museums using the Street View technology. 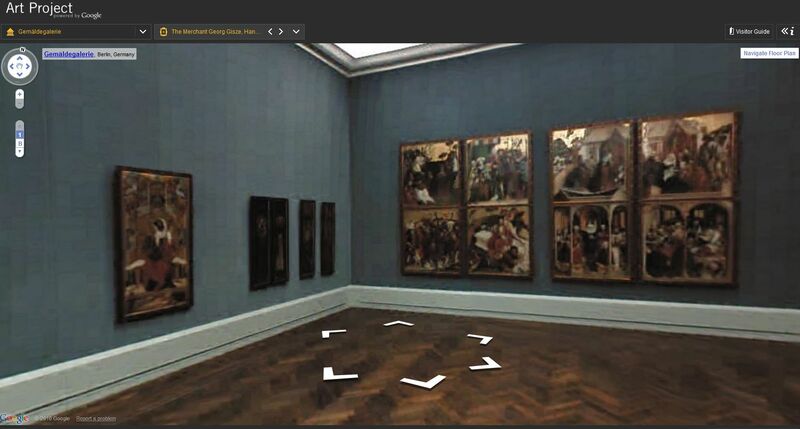 Over the last 18 months, Google has used a specifically designed trolley to capture images of 385 rooms within the museums and 1,061 hi-res pictures of specific works of art. 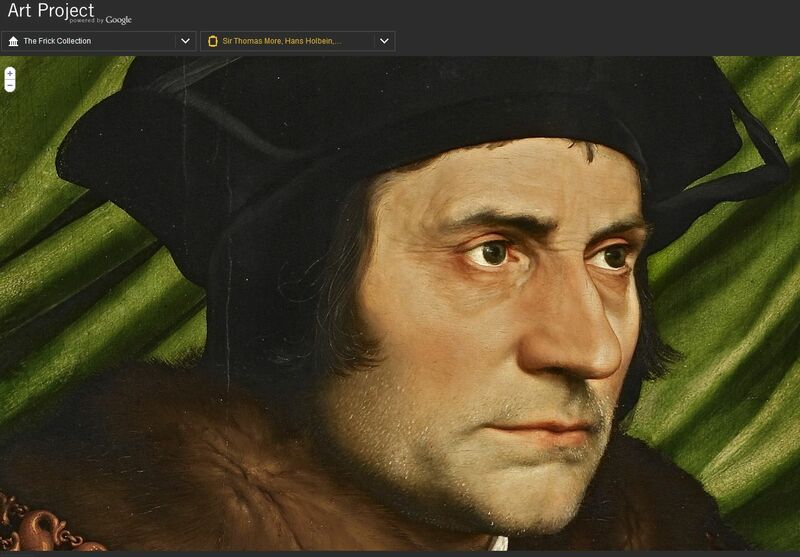 The result is the Google Art Project, which is available to view here. The first thing I thought when I saw this interface was how similar it is to what we gamers experience on a daily basis. You move through the spaces like a character might through a videogame. If you get confused as to where you are, you can even pull up a minimap of the museum's floor plan and navigate that way. 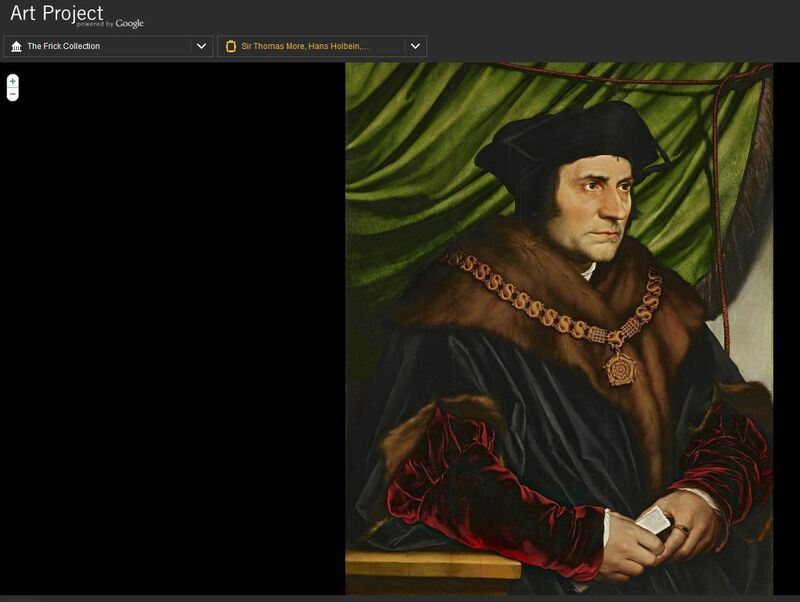 Clicking on the "+" symbol next to a piece of art that interests you brings up a high resolution shot which you can zoom into to examine every little nuance and crevice. 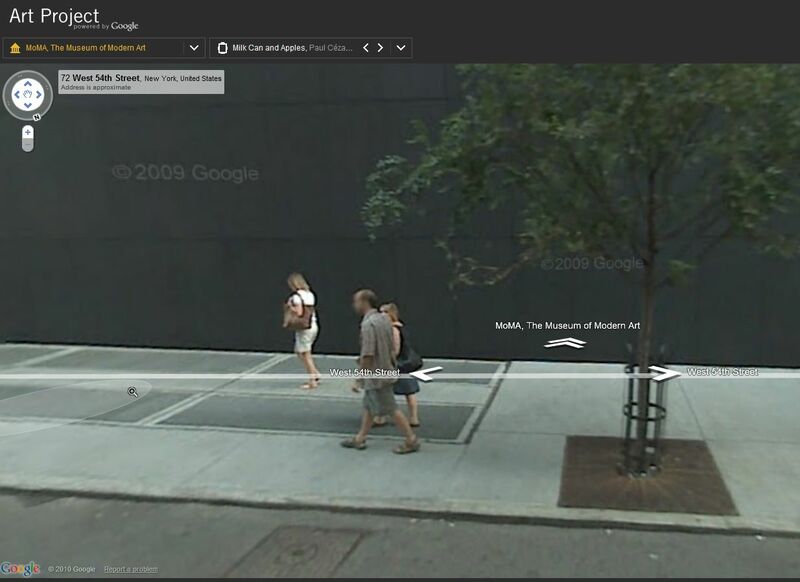 Because the Art Project uses Street View technology, it blends seamlessly with Google Maps. So if you're looking at where the Museum of Modern Art is in New York City, you can "enter" the building and look at the works of art there with the click of a button. The Art Project began as one of the famous 20% projects at Google, where employees are required to spend one day a week working on projects that they find personally fulfilling. "This initiative started as '20% project' by a group of Googlers passionate about making art more accessible online. Together with our museum partners around the world we have created what we will hope will be a fascinating resource for art-lovers, students and casual museum goers alike - inspiring them to one day visit the real thing," said the leader of the project, Amit Sood. I'm no art junkie, but I think the Art Project might be one of the coolest things ever created by humans.